august is always a whirlwind of a month, though i guess it depends on when your kids start school. ours start the middle of august which means this month is jam-packed with all the things we didn’t get around to doing over the summer break + getting ready for school which always seems like such a monumental task between getting school supplies, figuring out who our teachers are going to be, and all of the paperwork that comes with a new class/grade! i have a few years of getting kids to school on the first day under my belt, and like a lot of other people we get a new outfit and take pictures with printable first day of school signs on the first day. <- i made some of these signs this summer so i could have something that was just what i wanted and i admittedly went a little crazy and now there are tons and i can’t decide which one i’m going to use! maybe we’ll just take a lot of pictures – a different sign in each one! haha. but you know what? they’re free to download and you can print them at home, so why not just print out a few if you can’t decide?! back to school also means trying to get organized and get back into routines that were all but forgotten over the summer break. i have a few suggestions for you to kick start your school organization/routines…some of them are free downloads and a couple of them are in my etsy shop, but even then they don’t cost tons of money. we all have to pay for school supplies for our kids, after all, and need to save all the money we can! 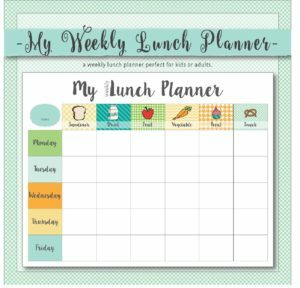 kids organizational planner <- this one is really popular in my shop! 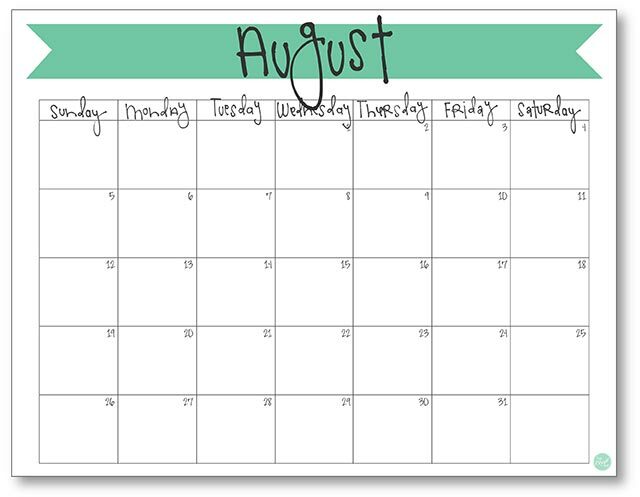 oh, and i forgot one more freebie…this august calendar, of course! 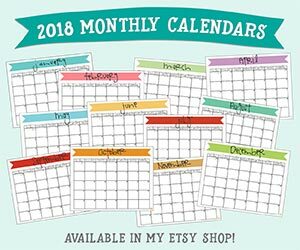 i know you have lots going on this month, just like i do, and you need to print out this calendar and display it somewhere in your home or office so you and your family can stay really organized and not stress out about all the things going on this month! so without further ado, scroll down to download and print this pretty august banner calendar from the comfort of your own home, for free! i hope it gets filled with all sorts of fun and exciting things to do before summer break comes to an end, and that it helps you have a stress-free back to school time! calendars are such useful things. 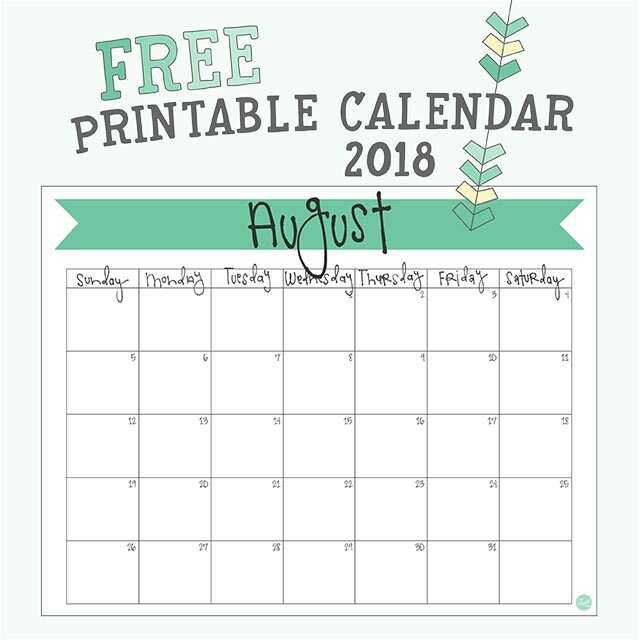 click here to download your free printable august 2018 monthly calendar! for the last time this year, i’ll say: happy summer, everyone! !